Recess by Henri Gillet from Perkins Bacon Plates 1854 (April): 5 c. Dark Chocolate Brown, wmk. pos. 1, a used example of clear impression with ample to good margins all round and just clear from design at left, printed in a lovely extremely dark rich chocolate shade, crisply cancelled in black. 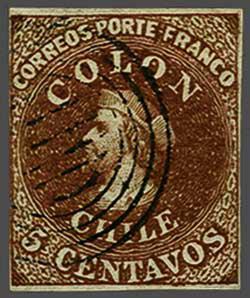 A great rarity and a most appealing stamp, probably just one or two sheets printed in this colour. A fantastic example of Gillet's talent. Cert. BPA (1992) Gi. 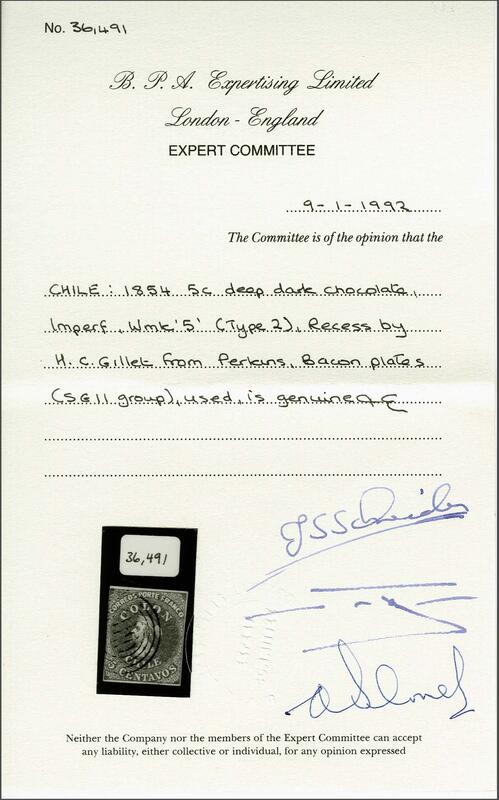 11 = £ 750/Scott = $ 2'000.rnProvenance: Collection Gerhard Blank, RL, Dec 1991, lot 986.